Hammerin' Iron by Peter Pig in action. Note the 'free hex' system in use. For a fuller account of action take a look at Trebian to whom thanks are extended for the use of his picture. Although things have been very nautically inclined recently I have not been neglecting my ideas around the use of Bob Cordery's Portable Wargame series. For me the obvious fit would be WW1 and WW2 but I am also giving serious thought to something colonial. In fact, when I prepare the khaki army it would very simple to use some of the Tumbling Dice 1/600th open order infantry as loose order tribal irregulars of some type. Magister Militum have a large range of material in this scale - far larger than the Tumbling Dice offering - so cherry picking odds and ends from them would be a useful alternative. Mounted camels would be very handy indeed for a couple of ideas! I also have a large selection of the Peter Pig troop blocks that are available as part of their Hammerin' Iron ACW naval range. This is quite limited but covers infantry, infantry skirmishers, cavalry, artillery and command bases. the infantry blocks are rather nice and would be ideal for pretty much anything close order and linear for the 19th century. I am toying with the idea of using these for Napoleonics at some point - and Bob has mentioned the possibility of a dedicated Napoleonic Portable Wargame at some point. My original thought in respect of WW2 was to replicate the approach from Memoir 44 using Heroscape tiles and 1/600th scale models. So far I have limited myself to what models Tumbling Dice have produced which is fine for the infantry and for the more vanilla vehicles. By that I mean I have a Panzer 4 F2, Shermans and T34/85s. Trucks, halftracks, artillery and antitank guns as well as armoured cars and SPs will need to come from magister Militum but I will not need many of them for sure! One of the other ideas I have been messing around with it the use of the Portable Wargame in a non-gridded way. I reckon that the core mechanics could be readily taken off the grid and games fought over a 2ft square playing area, DBA style. This is not an entirely original thought but it is a mechanism used in the Peter Pig Hammerin' Iron ACW naval rules. They make use of a 'free hex' mechanism whereby all combat and movement was handled using hexes but not on a hex grid as such. The unit being moved was assumed to at the centre of a hex orientated with a hex side across the bow of the ship (see the picture above to see this in action). This representational hexagon would then have the normal six sides facing off the ship for movement, turning and firing etc using hexes as the unit of measure. I think it could work with land actions as well and would give the advantage of opening up the playing area. I think it could also be used with squares and in fact think that they would benefit even more given the restriction of having four sides as opposed to the six of a hexagon. It is something to ponder and I will give this some more thought in due course. "....more slaughter, more misery, and more ruin than has ever before been borne within the compass of a ship." 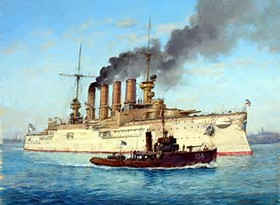 I am of course referring to the escape of the two German warships the Goeben and the Breslau at the outset of the Great War. I will not go into the full story - you can read about it here - but suffice it to say that my play test will feature a small part of the saga or rather potentially a small part of the saga. 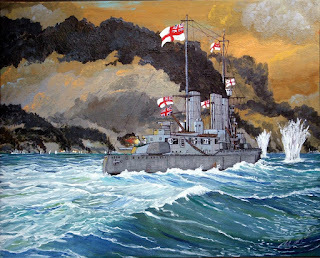 The piece of the action I have chosen as the basis for my playtest takes place somewhere in the southern Adriatic and involves the Royal Navy armoured cruisers H.M.S. Defence, Black Prince, Warrior and Duke of Edinburgh with three destroyers against the German battlecruiser S.M.S. Goeben and the light cruiser Breslau. I confess that my knowledge of this particular affair is rather hazy on the exact timeline and details (something I shall be taking steps to remedy) but for my immediate purposes the British are trying to engage the Germans in an effort to slow them up so that the battlecruisers of the Mediterranean fleet - H.M.S Inflexible, Indomitable and Indefatigable - could catch them and render them hors de combat. The problem for the British historically was that the commander of the armoured cruisers - Sir Ernest Charles Thomas Troubridge KCMG CB MVO - was under orders to "not to get seriously engaged with superior forces." For the purposes of the scenario I have assumed that the Germans are crossing he front of the British at an angle so the window of engagement will be relatively brief. The ship specifications look something like this. A couple of points on the numbers above. The flotation values look quite close together in that the Goeben comes in at 12 whilst the average for the armoured cruisers is 9 and the Breslau comes in at 7. This is intentional and the actual calculation will be revealed later. Suffice it to say that the rationale behind it is so that ships have some survivability (or rather to make the game last a little longer!) when facing their peers. The effect of damage from larger weapons on less well protected ships is reflected by the damage modifiers based on the calibre of the firing weapon and the type of target so although the numbers look close once the appropriate factors come into play the damage points should accrue fairly quickly! The + or - modifiers next to the gun types are a reflection of their impact within the same notional gun type. Remember in a previous post that the 15" guns of the QE class had a +2 modifier compared to the standard 12" weapon? This is an extension of that same basic principle - the DD -1 guns represent the 47mm weapons carried which are not as effective as the 3.4" used as a baseline. Again all these assumptions will be obvious once the rules are drafted - and you can feel free to tweak them up or down to suit! I shall be using counters for the ships in this action which are scaled at 1/4800th and so will be using centimetres rather than inches for all measuring. 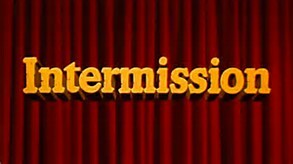 I will write up an after action report with some pictures if possible but the purple prose may be in short supply - it is a test after all! For the record this is not way of saying 'I am bored with this and so I am now looking to do something completely different' rather it is a pause for reflection and to serve as a reminder of what has gone before and how it fits in with what is to come. My original intention was to expand the tactical system from the Avalon Hill game Jutland to make them more to serve as a standalone set of WW1 naval rules. 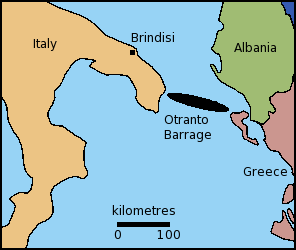 This idea was abandoned in favour of designing a set of naval rules for the period using selected mechanics from the original game. I am happy with the process I have devised for designing ship damage record cards and believe that I have addressed the thorny issue of firing and the effects of such fire in such a way as to reflect the combat capabilities of the ships in question. At the time of writing I need to factor in critical hits and also the whole torpedo attack mechanism but both of these areas can be more or less lifted straight from Jutland with very few adaptions. There are a number of other processes that will also need to be considered including manoeuvring, formations, visibility and weather etc. I am the first to acknowledge that sometimes my written explanations may seem a little unclear and I freely admit that on occasion I may have overdone things a little. All will become clear though once I have run a couple of play tests and also have a draft of the rules ready - and I am aiming on fitting the whole thing on two sides of A4! These rules will not appeal to everybody but I have always maintained that variety is one of the strengths of our hobby. They are not uber-detailed in the way that Seekrieg or Fear God and Dreadnought are, nor are they as simple as, well, the original version of Jutland. The rules are more concerned with the overall effects of damage accumulated over a period of time rather than micro-managing every single shell fired and its point/angle of impact. I believe that this should be variable and not merely a matter of hit, damage, hit, damage, hit, damage. More like hit, possibly damage, hit, actually damage, hit actually damage more/less than the last time. Above all the rules are designed to give a fun game that captures the flavour of WW1 naval combat as far as it is possible using models on a table top. The proof of the pudding is in the eating as the old saying goes and with this in mind I am hoping to run the first play test this weekend. I am rather excited about what I have achieved so far and I hope that the final results meet my expectations. 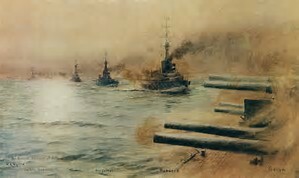 In the original game of Jutland firing was handled very simply. Essentially you measured the range, added up the number of gunnery factors (gunnery boxes) firing, selected the appropriate column from the firing table and then rolled a single d6. The score rolled would determine the number of hits scored. This number could be modified according to range so the closer to the target you are the more damage you could potentially score. 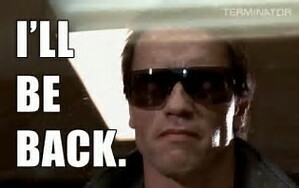 This is all straightforward stuff. The rules I am working on will use this system but with an additional step. Hits scored are now referred to as potential hits as you will then be required to roll a further d6 per potential hit to see what, if any damage is inflicted. Damage inflicted will be variable and also subject to modification depending on the calibre of the weapon being used and the type of target - and this is a crucial difference to the Jutland system where all damage was 'flat'. In Jutland one hit scored one point regardless of the firing weapon or target type. The greater effect of heavier weapons in Jutland was represented by using additional gunnery factors. H.M.S. 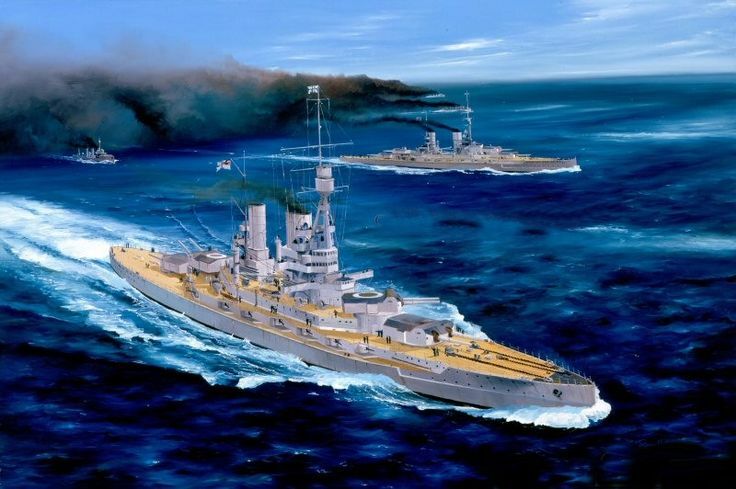 Warspite for example having 12 gunnery factors representing her 8 x 15" guns so heavier weapons had more factors which in turn meant more potential hits and therefore more damage. I prefer to have the damage inflicted on a variable basis* so that a larger weapon causes potentially more damage than a smaller one. As Jutland assumes a norm of 11 or 12" weapons for its capital ships I believe that larger or smaller weapons should have their potential damage adjusted up or down accordingly and not as a mean figure. With this in mind I am currently working on the following system. After having secured a hit or hits the firing player then rolls a further d6 per hit. If the score is 1, 2 or 3 then no damage is scored. If a 4 or 5 is rolled then one point of damage is scored. A roll of a 6 is two points of damage. The damage inflicted may then be modified depending on the calibre of the weapon firing and the category of ship being fired upon. A couple of examples of this are as follows. Our old friend H.M.S. Warspite has scored two hits on S.M.S. Seydlitz. The two hit dice come up 2 and 5. Warspite has hit Seydlitz with her 15" main guns which have a plus 2 modifier due to their size. There is no modifier for ship type as we are dealing with BB type weapons hitting BB type targets. The first roll of 2 is no effect - either the shell(s) hit and failed to explode or it caused no effective damage. The 5 though is a different matter as this is one point scored. However, due to the crunching impact of a 15" shell(s) the Seydlitz suffers a further 2 points of BB calibre damage or 3 damage points in total. In another example S.M.S. 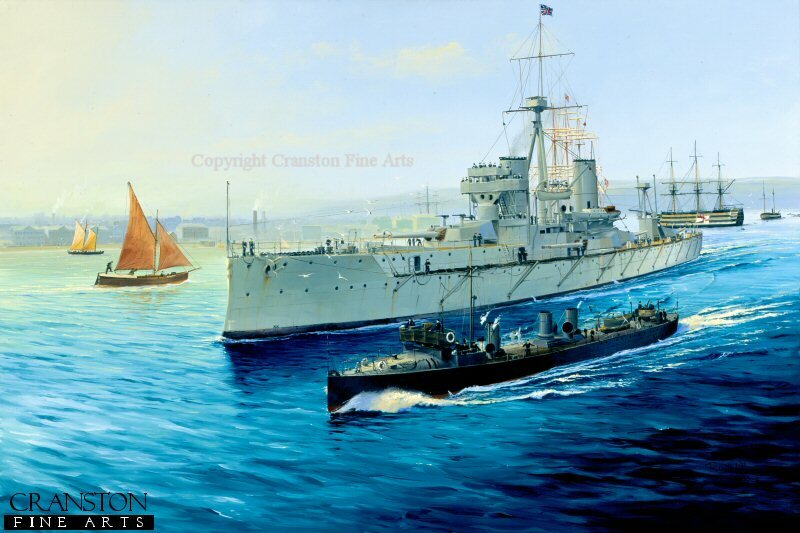 Lutzow has fired her main guns at the RN armoured cruiser H.M.S. Warrior and has scored 3 potential hits. The dice are rolled and come up a 1, a 5 and a glorious 6. the 1 is discarded. As the Seydlitz is using BB rated guns against a CA target each hit receives a an additional 1 point of damage. This means that 1 point of damage is scored for the roll of 5 and 2 for the roll of 6. Each adds an additional point (BB weapons hitting a CA target) so the Warrior has suffered 5 BB calibre points of damage. It is all very well scoring damage points but what do we do with them? I mentioned previously that in Jutland damage points were first applied to the gunnery factors. When all of these had been marked off then any further hits could be applied to the protection/flotation value. The rationale behind this was that once the topside had been suitably battered that any further damage would have more chance of wrecking the vitals, loosening bulkheads etc. I have no great issues about how hits are applied when suffering damage and indeed believe that variety is a good thing however, it does need to have a degree of control otherwise unscrupulous gamers will take advantage of the fact and apply any damage to the least important part of the ship. I also believe that gunnery could (and indeed did) cause damage below the waterline or in game terms against the protection/flotation factor. With this in mind the following applies. Within a single firing attack (that is the effects of firing from a single ship) consecutive damage points may not impact the same system. For example a target receives three hits. The first hit is applied to any part of the ship (lets say the main guns) and then second hit is applied. This may not follow the first (so not the main guns) but must be used elsewhere. The third hit could be used against the main guns again if desired. The area hit may also sustain additional damage depending on the calibre of the firing weapon and the calibre of the target damage. For example a BB rated gun has hit a BB rated target with two points of damage. The target ship wants to ensure his main guns are kept intact (at this stage of the action it is tactically prudent to do so) and so elects to apply the damage to his secondary (CL rated) guns. He may only apply 1 point to the secondary guns (remember no damage points are applied consecutively) BUT as they are rated as CL (and this is two steps down from BB/PB the damage point adds an additional two to the point being applied. This means that a BB calibre gun hitting a CL calibre target or the CL part of a BB/PB/CA type ship will score three points. A table reflecting his will be drawn up and added into the text of the rules. The rationale behind this is that quite often secondary and tertiary weapons were less well protected than the overall class of the ship would indicate. A large calibre shell exploding within a thinly armoured casemate could wreak havoc so the additional damage goes some way to representing this effect. Finally, as far as possible damage has to be applied to the part of the ship that is nearest to the source of the fire. This means port, starboard, fore or aft. I appreciate the above may seem a little confusing and at this stage is not complete but I hope that what I am trying to convey makes sense. Once the rules have been drafted in their entirety all will become a lot clearer! S.M.S. 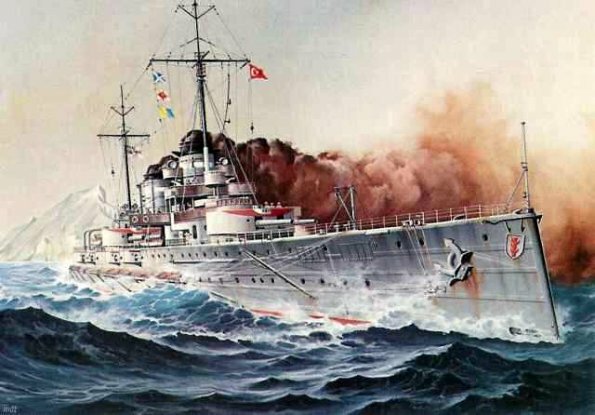 Von Der Tann - the first of the German battle cruisers. This superb looking model is by GHQ in 1/2400th scale from the collection of Ken Reilly and forms part of his Jutland collection. 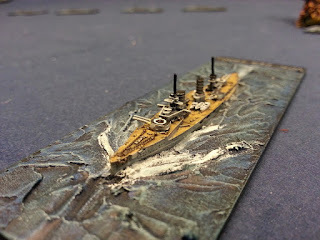 Ken was able to do what I was not able to and built both sides for use in a Jutland refight. His blog details the story of the collection and the action. It was a magnificent effort! One of the main things I want to achieve with my as yet unnamed naval rules is to have a transparent system for setting up ship damage records. If you recall from my previous posts one of the weaker areas of the original Jutland rules was how the ships damage record cards were set up. They are detailed enough when used within the game itself but not for my needs. I have tried to reverse engineer the Jutland ship specifications but not with any degree of success. In any event what I want to use is a little more detailed. Calculating the specifications for any given ship is something that most naval wargamers will be familiar with, even if their favourite set of rules had plenty of types included. There is inevitably a ship that is missing from the rules or the existing record for a particular vessel is inaccurate and requires amendment. 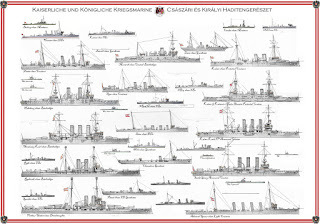 The biggest problem though is that the original Jutland rules had no provision for ships of light cruiser size or smaller. This is one of the reasons I am looking to go my own way. The construction of a ship damage chart (hereafter referred to as SDC) looks at a number of factors some of which are straightforward, others less so. The main areas we are concerned with at this stage are armament, protection and speed. Speed. This is very straightforward and as I am working on the basis that a 30 knot ship can move 12” the number are readily convertible. Essentially 2.5 knots of speed equal one inch of movement. Fractions should be rounded up if more than one knot over a 2.5 knot multiple e.g. an 24 knot ship would be treated as moving 25 knots (10”) whilst a 23 knot ship would be treated as 22.5 (9”) knots. I will cover ship movement in more detail in a further blog post. Armament. For every gun a ship carries it has a box on the SDC. These should reflect their position on the ship itself so turrets will have their boxes together in twos or threes. Secondary and tertiary weapons should also be deployed in their correct positions on either beam. I should mention that I will be using a top down view for each SDC. Guns are of course rated using the method mentioned in my last post – BB, PB, CA, CL and DD. For the most part these categories are largely self-explanatory but as mentioned previously there is a degree of overlap. As a base the BB and PB category includes weapons of 9.4” and above, CA is larger than 6” up to 10”, CL is 4.1” to 6” whilst DD is 4” and smaller. I will detail the overlaps and their effects in a later post. Finally torpedoes. One box is marked on the SDC for every two carried. At this stage I am only considering those carried by 'light ships' - light cruisers and destroyers - although I may rethink this. Protection. This has given me more headaches than anything else with this project and try as I might I have not been able to see how the original numbers were calculated. I have a formula I am working with which may look a little inconsistent but bear in mind I am looking to model ship characteristics in such a way that one could readily have a good game featuring any permutation of ships types. The key assumption with this part of the process is that unless using torpedoes or barring something like a magazine explosion it was extremely difficult to sink a ship by gunfire alone. I will explain this in more detail in a further blog post. For the moment though it is sufficient to note that the protection, or more accurately, flotation factor is based on a combination of armour carried and tonnage. 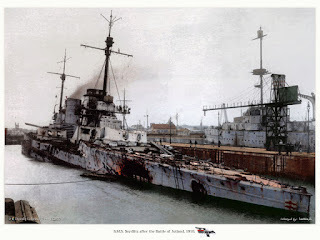 Damage is another area that has given me much to think about and after much deliberation I shall be using the original Jutland model but with a number of additional factors. The original rules assumed that two ships exchanging gunfire would inflict damage above the waterline (the gunnery factor boxes) and when every box had been marked off the protection/flotation value would be reduced by one point per hit suffered. For every protection/flotation hit scored the movement factor of the ship was reduced by one. the ship was sunk when this factor was reduced to zero. 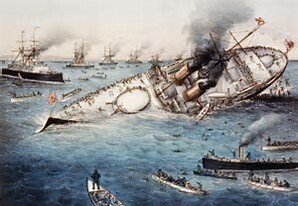 The key thing with is that until everything above the waterline had been destroyed the ship could still belt along with, in effect an undamaged hull and no speed restrictions. It also meant that ships with more gun factors would last longer as there were more hit boxes to cross off. Surely increasing the number and types of guns available (remember the base game made no allowance for secondary or tertiary weapons) would mean that certain ships would accrue an advantage simply because of having more weapon boxes to cross off? This is certainly true as, for example, H.M.S. Warspite under the original system had 12 gun factors and 10 protection points. Under the new system it has 8 x BB rated gun factors and 12 x CL rated gun factors meaning 20 gunnery boxes instead of 12. The protection value changes from 10 to 14. So the new Warspite has a total of 34 damage boxes rather than the 22 of the original version. 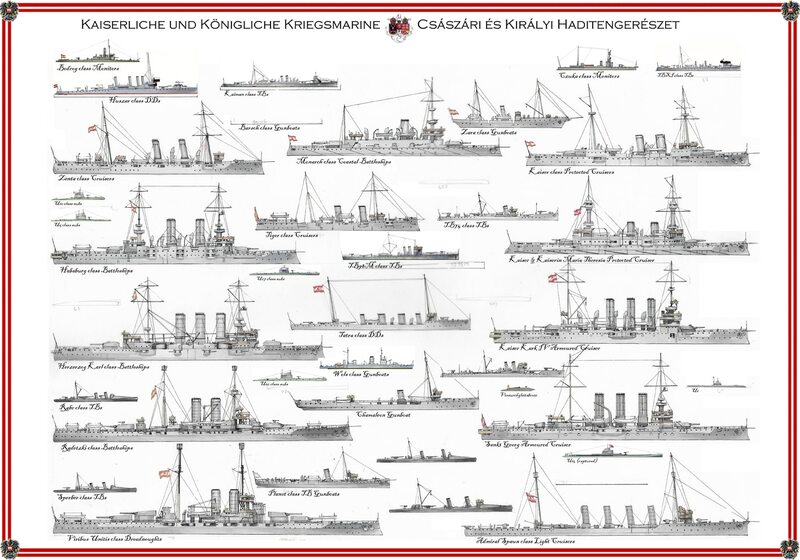 The problem becomes even more acute when you start looking at the Germans dreadnoughts that routinely carried secondary and tertiary weapons. I have a solution to this in respect of gunnery damage effects which will serve to negate some of this artificial survivability which I will outline in a further post. I will have a mechanism in place for critical hits as this adds to the overall mayhem and also adds to the flavour. It also makes the after action reports more interesting to read! I think that one of the main things you need when undertaking the design or amendment of a set of rules is to have a clear idea of what it is you are trying to achieve. From my own experience it helps to be quite focused at this stage otherwise you can end up with an unwieldy and unplayable monster that raises more questions than it answers. As I collate my notes and order my thoughts I figured it would be a good idea to set out what I am trying to achieve with the naval rules based on Jutland (and not Jutland based naval rules - an important distinction) project I am currently embarked upon. 1. A set of blue water naval rules that will allow for ANY ship type from torpedo boat destroyers up to dreadnoughts during the period 1895 to 1920. 2. Designed for use on a 6ft by 4ft table with a maximum firing range of 4ft and a maximum ship speed of 12". 3. To use individual ship damage record cards. 4. To have gun types 'banded' using ship categories. 5. To have a d6 based two stage combat process - roll to hit and if successful then roll for effect. 6. To use those game mechanics that are suitable from Avalon Hill's Jutland. I think that is a fairly straightforward list to work with and seeing it written down makes (to me anyway) perfectly good sense. I spent some of yesterday evening drawing up some ship specifications for a variety of types and was struck by how intuitive they appeared. For sure having generic gun types (more of which later) may seem like the easy way out but the rules will allow for variation of damage inflicted within the same notional category. Similarly there will be modifiers when the target ship is not of the same type as the weapon being used by the firing ship. An example of this would be a BB type weapon firing at a CA type ship or a DD type weapon firing at a CL type ship. There will be some overlap with this but all will make sense when the firing/damage table is drawn up. I will detail the formula for the creation of a specific ship type in a future post but for the present the foundation of this is based on the following ship categories. These broad categories are the basis of much of the rules in that they refer not only to gun types but also ranges and protection levels. There is flexibility with these, even within the same category, so quite different ships can be represented under the same notional type. An example would be H.M.S. 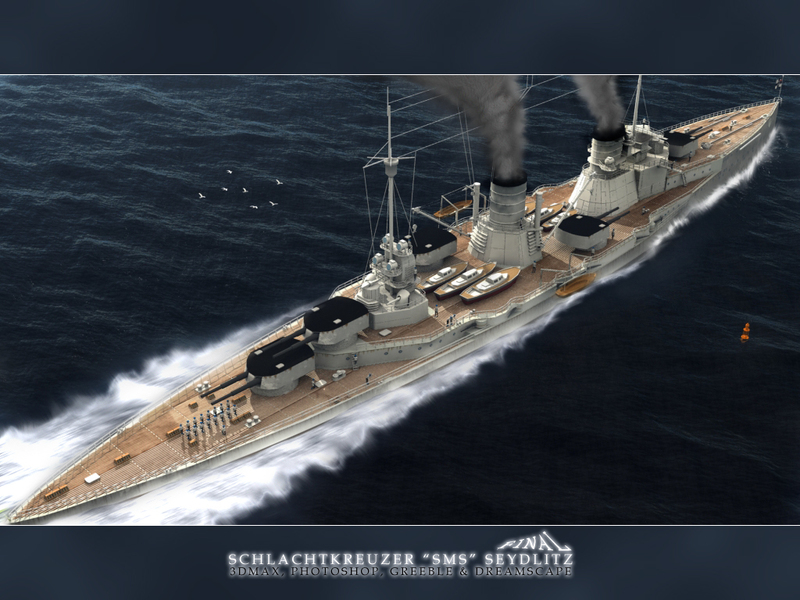 Dreadnought compared to S.M.S. Baden. They are both BB type ships but are very different. H.M.S. Dreadnought - the differences between her and the Bayern class are substantial as technology evolved into bigger, faster and more powerful. Jutland as a game went some way to addressing ship type differences within the same notional category as far as was needed for the subject matter in hand - the system I will be using goes into more detail and is therefore more representational of the vessel being used. I am planning to flesh out the process for creating ship damage cards in the next post and from then on will concentrate of particular areas of the rules and how they have come about. 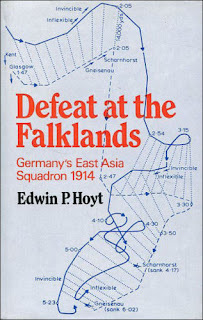 I have mentioned a number of times of my fondness for Bob Cordery's Portable Wargame system and this has been recently reinforced (as if it needed any such assistance!) by his recent sequence of games set in the Shin Valley on the NW Frontier. My plan is to use these rules and my collection of Heroscape tiles in conjunction with the 1/600th Tumbling Dice models I have been acquiring. 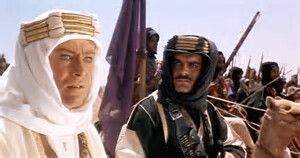 I have flirted with a number of ideas for campaigns to represent using this method with contenders being the Arab Revolt - including the Sanusi and the Iraq version in 1920, the NW Frontier - including Waziristan, WW1 in the Caucasus, WW2 Western desert or something in the Aegean or possibly even something 'imagi-nation-ish'. Luckily the size of figures means that several armies can be represented using one basic paint job. For any of the above conflicts a desert type paint job on the Heroscape tiles would suffice. As long at the result is suitably arid and barren it would be fine. The interesting thing about the Sanusi affair is that much of the terrain fought over would see troops of a very different kind contesting the same area in WW2. "This is the exciting story of a forgotten war, fought out on the fringe of the great First World War campaigns. At its centre stands Sayyid Ahmad al-Sharif, the Grand Sanusi, a charismatic Arab leader caught between the rival war aims of the Turco-German alliance and the British Empire. In November 1915 HMS Tara, a requisitioned ferryboat, is torpedoed by a German U-boat off Sollum on the north-west coast of Egypt. The 92 survivors, nearly all Welshmen, are handed over to Turkish and Sanusi soldiers across the border and sent as prisoners of war deep into the Libyan Desert. The Turco-Sanusi Army then overruns Sollum and pushes into Egypt. 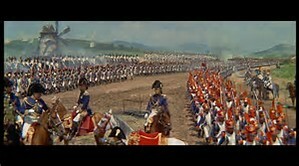 The British, occupying that country, are caught off guard and forced to launch a military campaign to expel the invaders. 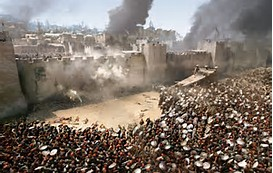 Over the next few months, four battles are fought before Sollum is retaken and the threat contained. Finally, the Duke of Westminster leads a large column of Rolls Royce armoured cars and Model T Fords into Libya to rescue the Welshmen. Based on original source material, The Sanusi's Little War tells for the first time the full story of the Turco-Sanusi invasion and the subsequent military campaign. The author describes secret German missions and Turkish efforts to win over the Grand Sanusi. 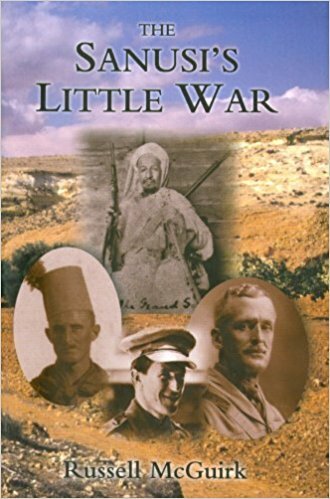 He reveals the fascinating role played in the campaign by British officers, particularly Leo Royle. Most unexpected of all is his discovery that T. E. Lawrence played a role in these events". So you have Turkish trained Sanusi regulars and irregulars against Imperial troops with armoured cars and aircraft. this has the makings of something rather interesting and more importantly, slightly more conventional than the more usual Arab Revolt. You know that feeling you get when you think you have something virtually sewn up and then something crawls out of the woodwork and proceeds to unstitch pretty much everything you have done so far? Well that is what has happened. I was typing a few notes up on the Mac last night when I happened to browse an old folder of files called Wargame Rules. This is the folder that includes a vast number of downloaded rules for land battles for various periods. At least that is what I thought was in it. As I idly scanned down the list of files (with some real corkers there that will need revisiting at some point) imagine then my surprise when I came across some old files relating to Jutland. 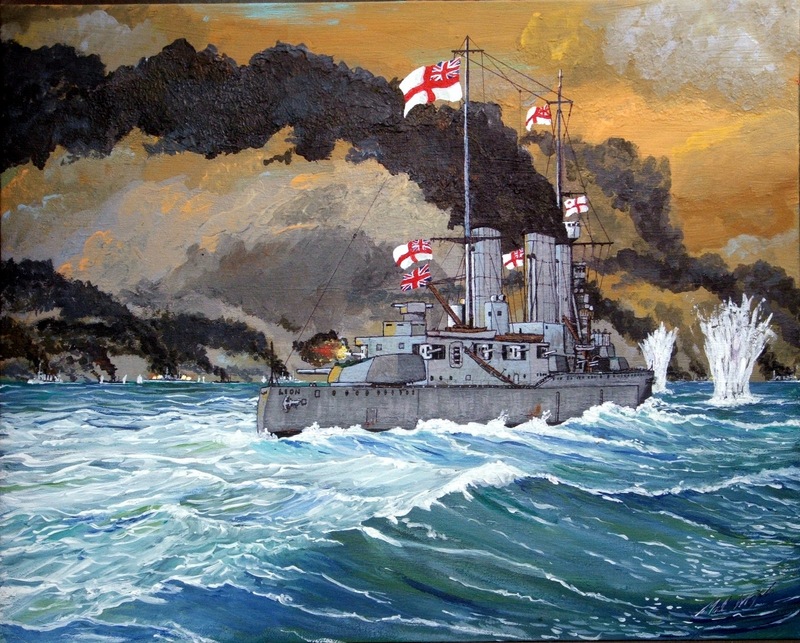 These files are at least seven years old, probably longer, and represent a fairly comprehensive revision to the Jutland rules incorporating all the various updates from the AH General and Boardgamer magazines and some additional items from yours truly. In short, pretty much everything I have been wittering on about recently…. I thought I had moved all of my Jutland related files into the Jutland folder but somehow had not done so with these. In my defence I have also changed computers twice since these were created so that is possibly how they have fallen through the gaps. As well as the revision to the rules I had even gone as far as drawing up fairly comprehensive ship damage charts for both the Royal Navy and the High Seas Fleet. In truth I had completely forgotten about these revisions and am more than a little embarrassed at myself for having overlooked them. Had I not done so it would have saved me a lot of time. I mentioned in my last post that I have moved on from trying to adapt the tactical rules from Jutland into something more ‘wargamey’ to instead making use of some of the ideas and mechanics contained therein in a self designed set of rules. Surprisingly enough I had made a fair amount of progress with this for my ill-fated Jutland project so the work of making sense and adding some coherency to the whole thing in theory should not be too difficult. The first thing I want to outline (or rather, think out loud) is the firing mechanism. As it stands I am using many elements from the Jutland system but with a few of my own twists. I shall outline how the Jutland system works and will then describe my ‘take’ on it. Jutland the board game uses a system of gunnery factors for the ship in question which is cross-referenced on the appropriate column of the gunnery table and a single d6 is rolled to determine the number of hit points scored. Gunnery factors are also key to the damage system as they are the hits first scored against a target ship (more of which later) reduce the target ship’s own gunnery factor. The number of hits scored is modified by the range at which the firing ship engages the enemy. This means that long range fire typically reduces the number of hits scored whilst the closer you get the more damage is caused. Gun types have maximum ranges and are defined by typical ship types rather than calibre. For example, anything from 11” upwards is rated as either PB or BB. There are also sizes for CA, CL and DD. There are also restrictions on which gun types can Fore at what category of target, for example DD rated guns may not fire at ships classed as PB or BB. There is also a critical hit option so if a ships rolls a 6 to hit then there is a further roll to see what the critical hit is. I should also point out that a single game turn represents 10 minutes. Capital ships do not have any secondary weapons although the optional rules appearing in the AH General magazine allow for this. Straightaway there are a number of issues arising. 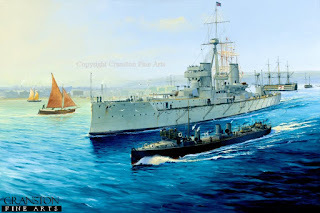 Try as I might I have been unable to work out how the ships gunnery factors were calculated - even to the point that I had an email exchange with the game’s designer, James Dunnigan, a few years back. Sadly he could not remember how he worked it out but given it was around 1966 he designed the game it is perhaps understandable! Most of the capital ships have 1 gunnery factor per barrel and the factors are grouped into turrets on the ship damage record. there are some crucial differences though. Take the Queen Elizabeth class armed with 8 x 15” guns. They have a gunnery factor of 12. I took this as being the base of 1 factor per barrel times 1.5 which works out fine. Hurrah you might think (at least I did), bu Jove he’s got it! Sadly not as if you look closely the numbers do not quite add up. The factors for the Royal Navy ships follow a largely consistent approach in that the 15” gunned QE and R class all come out at 12 factors for their 8 x 15” with 4 x 3 factor turrets on the damage sheet. The 10 x 13.5” also come out at 12 factors meaning, for arguments sake, the number of barrels has been multiplied by 1.2. If you take the 8 x 13.5” gunned ‘splendid cats’ - Lion and Tiger etc, this comes out at 9.6 or 10 factors when rounded up. You can see what I mean by looking at the picture above. Then comes the High Seas Fleet. For reasons lost in the mists of time the only ships in the High Seas Fleet that seem to follow the RN lead of 1 factor per barrel for 12” or 11” armed ships are the Westfalen class battleships and the pre-dreadnoughts. Given that all the Germans capital ships at the battle were armed with 12 or 11” weapons it would be logical to assume that for the most part the gunnery factors would match the number of guns carried. Why then is there the discrepancy? There are lots of theories as to why this may be. Is it allowing for the advantage that the Germans had when ranging in? Is it because some of the later ships had a superior version of the 12” gun to the bulk of the 12” armed RN battleships? This could be the case but does not allow for the 11” armed battlecruisers. I have no objection to adjusting the capabilities of a ship to reflect a specific combat situation where it is a known quantity but when the rationale for doing so is absent we have a problem. The solution I have decided upon for this is quite simple. For the rules I am devising I will be using the standard of one factor per gun barrel and any differences due to the calibre of the weapon being employed will be factored in as modifiers to the damage effect. Taking the ships mentioned as an example I would give the 15” ships a +2 to their damage rolls whilst the 13.5 (and 14”) types would get a +1. Those battleships with a main gun of 9.4 or 10” would get a minus 1. The pluses and minuses will be explained further so don’t worry about the specifics for the time being. I intend using the existing Jutland firing table to determine if a hit or hits are scored (based on the number of guns firing) and then to roll a d6 per hit to see what the effect is. I will also be using the Jutland based range effects on the number of hits scored - the to hit roll is made as normal but depending on the range can be tripled, doubled or halved. I prefer to roll a number of dice rather than just the one as I think it adds to the fun. The ‘roll to hit and then roll for effect’ adds a degree of uncertainty to the proceedings as it may be quite possible to score a number of potential hits that translate into no damage. Looking at the damage suffered by a number of the ships at Jutland it appears that damage effects could be variable depending on where was hit and what calibre was doing the hitting. The rolls for effect are very simple to implement. Essentially for each potential hit a d6 is rolled. 1, 2 or 3 means no effect, a 4 or 5 is one hit and a 6 is two hits. Aside from the modifiers to the damage inflicted due to the calibre of shell hitting the target there will also be a modifier adjusting for the armour type of the target. This is intended to ensure that armoured cruisers have their historic vulnerability to battleship calibre artillery. As an example (and I appreciate that you will have to take a lot of this on trust) take a look at the following to see what I mean. H.M.S. Warspite, a Queen Elizabeth class dreadnought armed with 8 x 15” guns opens fire at the German battle cruiser S.M.S. Seydlitz at a range of 12,000 yards. There are no modifiers for range so the player commanding the Warspite looks at the column on the headed 8 to 9 and rolls a d6. The player scores 1, the best result (I may change these around as I prefer a 6 to be the best score and 1 the worst), meaning that Warspite has scored 2 potential hits. The player then rolls a further two d6 scoring a 1 and a 4. Sadly the 1 is a no effect (although the imaginary mast-high column of water would have given the bridge crew of the Seydlitz a deep sense of foreboding....) but the 4, plus the modifier of +2 for the 15” guns makes 6 which gives 2 damage points. How this damage is applied will be detailed later but for the time being these damage points would be taken from the main guns of the Seydlitz meaning that she has, in effect, lost two guns from the 10, or a turret has been knocked out. S.M.S Seydlitz, down to 8 guns but at a range of 9,000 yards after some canny manoeuvring, opens fire on H.M.S. Warspite (no doubt circling furiously with her steering stuck....). At this range potential hits are doubled so with some good fortune things could potentially get very uncomfortable for the hapless Warspite. Rolling on the same column as the Warspite the Seydlitz again rolls a 1! This means 2 hits doubled to 4! The resulting rolls for effect come up as 2, 4, 6 and 4 meaning a total of 4 points of damage - 1 for each 4 and 2 for the 6. That would be a turret lost for sure and other damage as well. As I am writing this I am aware of a couple of things that will need to be nailed down - particularly as far as where damage is taken and that will form the follow up to this rather lengthy post. The 1/2400th scale collection is moving along nicely so barring any unforeseen dramas is on schedule for completion at the end of the year. The other side of the project is of course the old chestnut of what rules to use. I have a vast number of sets for wargames in the period which of course will be a safe fall back option but I have a hankering to do something myself. It is with this in mind I have written this post as I wanted to share my rationale behind the thought processes involved. I hope it is of some interest and of course, comments would be greatly appreciated. My fondness of the game Jutland is well known - as is my oft mentioned comment about the tactical rules being rather simple, brutally so if truth be told. Taking into consideration all of the various advanced and optional rules that have appeared over the years you get a tactical system that is better within the spirit of the game but does still not really cut it as a pure standalone tactical naval set. One of the biggest problems I have experienced in trying to 'wargameify' the rules has been the difficulty in reverse engineering the ship specifications - namely the gunnery and protection values. I looked back over all my noted on the subject and whilst they have a number of valid observations are still very much in the 'hit it and hope' category. With the advantage of some time away from the project and with the benefit of a fresh pair of eyes I can see that in some cases the ships were probably factored based on their historical performance in the battle rather than by the pure translation of their technical specifications. Photo-shopped I know but what a picture! The 'pure translation of their technical specifications' is a very common part of the naval wargame and in my opinion every set of naval wargame rules should show how the ships were factored - especially when wanting to add a ship not featured. Naval wargamers usually set great store by their knowledge of the ships of their chosen navy - I know I do! 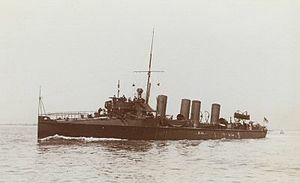 The Jutland approach then, of modelling ship characteristics to suit a specific scenario, whilst working well within the confines of the game being represented itself, loses out when they are used outside of this, either hypothetically or for other historical refights. Essentially then, what is needed is a baseline of characteristics for all ships - a common standard if you like - upon which the rules can be built. Using Jutland as is, even with all the add-ons, is, in my opinion not going to cut it. For me personally this is scary stuff. Much as I love the game it is not going to fulfil my immediate needs for a set of naval rules covering 1905 to 1920. With this sobering yet strangely liberating thought in mind it puts a lot of what I was trying to do previously into a far better context. Instead of trying to adapt an existing set of rules my efforts will be concentrated on drafting a set of rules based on the Jutland system rather than attempting to take it into a direction it was not really intended for. I genuinely believe that the core mechanics of the Jutland game system could be used as the basis of a very good tactical game of naval combat but that any such undertaking needs to have some clearly defined parameters around what does what, when and how. Taking all the above into consideration I shall now set out my stall in respect of the core principles I will be working with in the formulation of the rules - a kind of mission statement I suppose. I will expand on each area in later posts but for the moment the key areas are as follows. The points marked with a J are taken directly from the game rules. 1. 1 gunnery box per actual barrel - regardless of size. 4. Gun types will have variable effects against target types based on calibre of weapon and armour of target. 4. Use of fore/aft and port/starboard hit locations and gun based Protection/Flotation hits. 2. Use of long/short move (see Barry Carter's book) if grid based. 2. Working to a 6ft by 4ft playing area with maximum daylight gun range around 3ft and maximum ship movement of around 1ft. So there you have it, a brief outline of what I want to do - all I have to do now is to do it! Not exactly the good squire but the actor Keith Barron who died yesterday and who portrayed him in the TV series back in the 90s. Keith Barron had a long career on screen and stage and was best known for his part in the comedy series Duty Free (very Brian Rix-ish in the farcical sense) during the 80s and also for his role as the Squire. He appeared in many TV programmes and also in a couple of films - the link gives the full details. 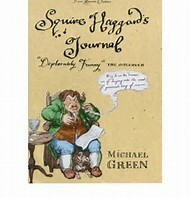 For those of you who have never come across the good Squire his Journal was penned by Michael Green (famous for the 'Art of Coarse....' series) as a parody of a late 18th century gentleman's diary - think Boswell crossed with Blackadder. The journal is unbelievably funny and for most part consists of the Squire, his son Roderick and manservant Grunge 'carousing with prostitutes and servant girls, imbibing copious amounts of Madeira Wine, evicting the poor, expectorating on and firing his pistols at poachers, dissenters and foreigners.' The good squire was always heavily in debt and at one point undertook the Grand Tour in order to avoid both his debtors and a potential duel. It is very funny and whilst not politically correct in any sense of the word actually reads as one would expect a diary of the period to be written. 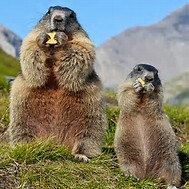 The cute pair of critters above are of course Groundhogs and whilst it is not the actual Groundhog Day (February 2nd next year is the official date I believe) a chance comment on my last post gave me pause for thought. I will post my thinking in more detail later but the reference to the above animals was of course to my current 1/2400th naval/Jutland rules revisited - as I have been there before. I suppose it was inevitable and certainly the project concerning adapting the rules into something more 'naval wargame friendly' is very much unfinished business. However, I have come up with something that should address this and enable me to finish it off. That will be the next post then. 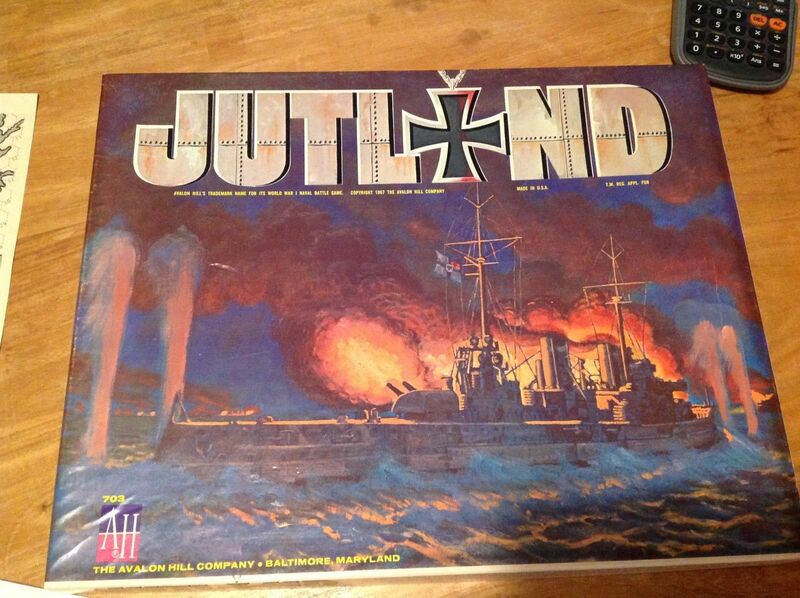 You may recall that I am a huge fan of the Avalon Hill 'board-game without a board' of Jutland. I had planned to use a variant of this for my ill-fated refight of the battle to coincide with the centenary last year but unfortunately I left it too late to organise properly. The ships raised for that particular undertaking have long since departed - my scale of choice was 1/2400th rather than 1/3000th although with hindsight this was a mistake - and I have no immediate plans to revisit the action using models anytime soon. Anyway, the reason for this post is simply because as part of my ongoing naval activities with the 1/2400th 'overseas' set up circa 1910 -1914 I had occasion to drag out all the material I have amassed for Jutland. There is rather a lot of it! The game featured in a number of editions of the old Avalon Hill General as well as the Boardgamer magazine and so I have copies of everything ever published by way of variants, additional rules or changes to the core system. There are also additional ship stats available including the remaining ships that saw service in the North Sea, the fleets for Russia (Baltic and Black Sea), France, Italy, Austria and Turkey). There is even a variant that exists covering the battle of Tsushima. With the Mediterranean set up there are some very useful plot maps available which is really handy as I am a huge fan of the map search system employed in the game. One of the plot maps. In the base game there are two pads -one for the Germans and one for the British. the maps are identical but the flip side has the ship damage record for each side. 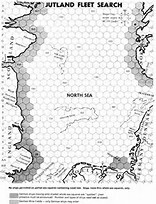 Replacement counters for the base game as well as for all of the various other fleets and additional ships are available from a number of sources - I own those for the rest of the North Sea (those that did not feature in the original game) as well as for the nations mentioned above which means that there is a lot of potential away from the traditional theatre of operations. The rule system for this game is designed to be quick and to fit within the context of the strategic map movement. In this is does the job admirably however, as a standalone set of naval rules they are a little on the 'light' side. If you add all of the rules additions in from the magazines the game plays in a more satisfying way but I think there is still room for some TLC in a couple of areas. Bearing in the mind the rules are designed for fleet actions between dreadnoughts the ships at the smaller end of the scale (light cruisers and destroyers - lumped into a generic 'light ships' category) are poorly served. To use the rules as they are then for the kind of action I envisage fighting (roughly around 6 to 12 ships a side) would be a little on the light side so some more detail would need to factored in. One has to be careful adjusting a set of rules so as not to unbalance them or lose the author's intended flavour but I am confident that with the help of all the additional written material available - including the designer's (Jim Dunnigan) original notes this can be tackled sympathetically. That is what I am going to do - essentially to pick up what I was trying to do 18 months ago but did not finish. It has been a pretty good weekend all said and done. Aside from the inevitable Autumnal leaf clearing exercise from the lawn (oddly therapeutic I must say!) I have managed to get some work done on the 1/2400 collection. I was able to get all of the destroyers for both sides based and undercoated and I have also settled on the names (or numbers in the case the German destroyers) for all of the models. I shall get these typed up and the label sheet printed in due course - this does not take long. Mention of the destroyers has given me the usual headache in terms of how they are painted. As the collection will be seeing service in WW1 based games it would make senses to paint them in the appropriate plumage for the later period. This means grey for the Royal Navy and also for the Germans although they converted from black later in the war. From an identification perspective I am going with black for the Germans and grey for the Royal Navy although I am unsure when they moved over from the black scheme. Certainly having two colours will help with identification on the table top. The models I am using are very nice indeed although I think the funnels on the Royal Navy destroyers are a little on the tall side - for the record they are the re designated 'B' class types sporting four funnels - with a single funnel fore and aft and two adjacent amidships. Of the type H.M.S. Sparrowhawk was wrecked whilst serving on the China Station. For the names of the ships I am modelling I have where possible chosen those that served on the China Station or geographically near by. I am pleased with progress so far - I had a couple of self-inflicted issues using the MDF bases which I shall not do again - and plan to continue this over the next few weeks with the aim of having the entire collection complete for the end of the year. Naturally pictures will follow in due course. Tom Hanks in 'What's that coming over the hill - is it a monster?' mode from Saving Private Ryan. The reasons that one embarks upon the wargamer's path are many and varied. My own 'baptism of fire' so to speak was probably a road trodden by many gamers 'of a certain age' in that I am firmly of what has been called the Airfix Generation. I have no issues with being labelled as such; quite the opposite in fact, I am proud to be part of that unofficial band of brothers - it means that I have a common ground with many of my gaming friends and so am able to share 'war stories' with them. What sustains this though? More specifically, what sustains a gamers interest in a given period? I have often thought about this and in my case the answer is relatively straightforward. For the most part my gaming interests are many and varied but they generally have two things in common. Firstly, there exists a reasonable amount of reference material in the shape of the written word. This can take many forms including campaign histories, uniform and equipment guides, biographies of the commanders, unit histories and even works of fiction set against the period. That is simple enough and for my own part is a significant factor in the choice of period I wish to fight. I have always been an avid reader so for me this is hardly a chore - more like a pleasure to be savoured. The second factor (and indeed this is why I wrote this post on the first place) is for me the visual appeal. This does not mean the look of the figures - this is important for some people, less so for me - rather it means how the events of history have been given life by the silver screen. I am of course talking about films and TV. It is no coincidence that the periods of history I am interested in have also been translated into either film or TV. As wargamers we all have our favourites but it has only recently struck me how important this is to my enjoyment of the games I fight. Of course one has to take into account the fact that what we are seeing may contain inaccuracies (and I am sure we quote chapter and verse on many of the usual suspects in this case!) but for me it is all about capturing the flavour of the events depicted in a visual fashion. The usual film caveat of being 'based upon' what actually happened or of adding fiction against a historical backdrop is well known and as wargamers armed with our books of the period we are usually able to separate the wheat from the chaff. I do not rely on films for the hard facts but purely for the look of the thing. There are periods of history that keep coming back to as my interest waxes and wanes over time - invariably there is film that anchors it into my consciousness. 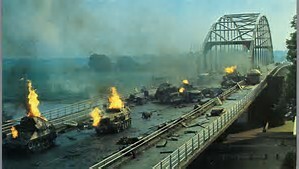 Waterloo, Saving Private Ryan, Gladiator, Spartacus, The Kingdon of Heaven, The Battle of Britain, Zulu, Lawrence of Arabia, The Sand Pebbles, A Bridge Too Far and others too numerous to mention are all a key part of my enjoyment of our hobby for the entertainment and visual motivation they provide. Although a film about the period in question is a nice addition to inspiration pool for a project it is my no means obligatory. There are periods of history I am interested in that try as I might I have not been able to find any viewing material, at least not in English. This would not stop me from trying it out but having a visual medium to watch should certainly serve to aid the inspiration, at least it does for me. For the record this is not an 'ooh shiny' purchase - rather it is a substantial part of my long term Crusades project. I should add at this point that it is very firmly on the back burner - I reckon I have at least four other things to tackle beforehand - but the acquisition of the above game means that once I get around to it I will have everything I need to start. Actually that is probably not strictly true as there is always room for the odd extra book at the very least. The written word is invariably my downfall and if there is one area that always suffers from 'project creep' it is with books. Books are my weakness - my wargames Achilles heel so to speak. Anyway, back to the business in hand. 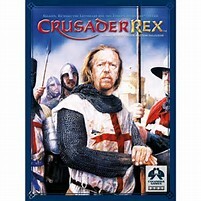 The above game is a strategic level depiction of the 3rd Crusade featuring Richard the Lionheart and of course Saladin. It is a fine game on a standalone basis but for me the extra value will be use it as a campaign canvas for a Portable Wargame based set up using the previously mentioned Risk figures or perhaps something else. I am a great fan of Columbia games block based wargames as they are straightforward to play, are simple but not simplistic and have very good production values. One mechanic the games use is the 'fog of war'. Usually unit blocks are deployed on an edge with the strength side facing the owning player. This means that the opposition does not know the strength of a unit facing him or her until they attack it. Very simple and very effective. In the meantime though, the ships take priority. It has been a busy weekend - both on the domestic front and the gaming side. On the former I spent rather a lot of time on the phone organising the new buildings and contents insurance, the new energy provider, the travel insurance for our holiday next year and also the final part of the Christmas shopping for our grandson. I also (actually to be accurate is was very much a family affair) took a saw and some shears to the tree in our garden. It now looks rather forlorn but was hanging over next doors greenhouse, our shed and the washing line - so it really needed some TLC. On the gaming front I managed to get some time in on the 1/2400th ships. Essentially the German destroyers have been cleaned up and the bases readied. I have used bases from Warbases and spent some time sealing them with some Rustins MDF Sealer. this is really good stuff as it has the effect of drying with a slightly rough finish which will take paint far more readily than the smooth and slightly shiny version straight out of the packet. the destroyers cleaned up very easily and had little in the way of flash. This evening I shall fix them to the bases and then make a start on their Royal Navy opposite numbers. This is a variation on how I usually do these things - normally I start with the battleships and work down - but I wanted to tackle these first as they are easier to do. they are the only models that do not require any assembly to start with, not to mention the fact that painting them will be a doddle. With thoughts of the China Station and the East Asia Squadron I suppose it was inevitable that my thoughts gravitated towards the Coronel and the Falklands in 1914. With this thought in mind I was delighted to pick up a copy of the above. 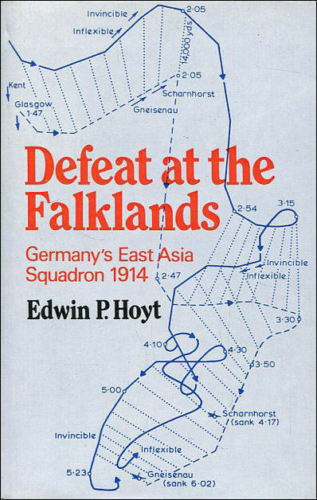 Edwin P. Hoyt was a prolific author and wrote many books on the fringe naval side of the Great War. I have three other titles of his in my collection and there are several more I would like to add in time. His works may not be the most technically detailed available but they are easy to read and give the all important flavour to the subject. It is no secret that I am huge fan of the old naval wargame standard of 'hunt the raider' so this is a welcome addition to the library. I also managed to spend some time finishing off some scenery for my square gridded Portable Wargame style table. This is 3ft by 2ft and is divided into 3" squares (meaning 8 x 12). I had made half a dozen hills using spare Jenga blocks and some offcuts of model railway grass mat some time ago and these are now virtually finished. All I need to do is to trim the edges which will take place this evening and they are then good to go. Finally, I picked up a copy of the board/miniatures game you se in the photo at the top of this post. 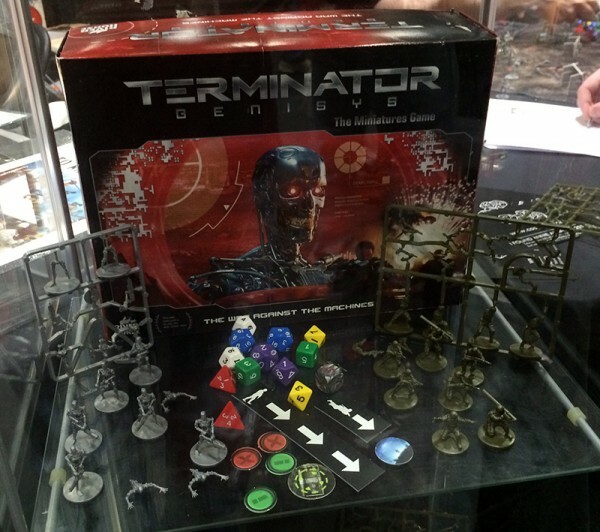 As a Terminator fan I was pleased when this first came out but baulked at the price being asked. Several of my gaming friends have tried the rules and they were distinctly underwhelmed by the experience. No matter because even the rules are not quite what I would like the models would be usable with any set of Sci Fi rules. One thing that crossed my mind would be a Space Hulk style game - for which I will speak to the redoubtable Mr Fox for his thoughts....In any event, £1.50 for the game was pretty darned good.